Plans for a 400-home development near the River Dee which has sparked a debate about the need for affordable housing in the area will go before councillors next week. The first full meeting of Aberdeenshire Council since a power shake-up, which led to an SNP-led administration take control, will consider the major application on Thursday. Officers have recommended that the council’s 68 members refuse the plans for 300 rented homes, 75 affordable homes and 25 assisted-living apartments at Braehead, Auchattie, at the south end of Banchory. Plans were lodged by Turriff-based Sandlaw Farming and include proposals for a Banchory Medical Centre and a stop-off point on the Deeside Way. Developers argue the homes would address the local authority’s 15,000-strong waiting register for council housing and the demand for rented homes. However the plans were met with nearly 500 objections from locals who raised concerns over the impact on local wildlife, scenery, increased traffic congestion and the knock-on effect on packed local schools. Citing fears for the River Dee, Scottish Natural Heritage (SNH) also objected to the plans. Planning officials have recommended the plans be thrown aside, with the council’s director of infrastructure services, Stephen Archer, describing the plans as “significantly contrary” to the local development plan (LDP). 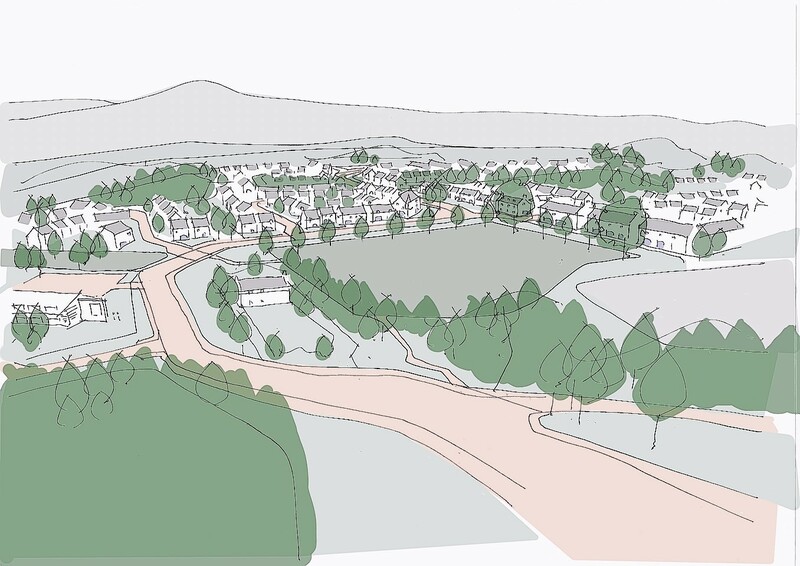 Mr Archer said: “There are already significant allocations in Banchory and permission in principle for 390 dwellings, commercial and business development was granted in May 2015 for development of two of the allocated sites at Hill of Banchory. “The site is located within wider landscape views from Scolty Hill and on approaches to Banchory, and it is clear that the landscape and visual impacts would be significant, resulting in a change in the character of the area from wooded river valley, with a defined settlement edge at the river boundary, to a developed site. In May, the Marr area committee rejected the proposals. However, Ken Ross – chief executive of Ross Developments and Renewables and agent for Sandlaw Farming – said the “bigger picture” was the “need for rented accommodation for families in this area”. Mr Ross added that the priority could be given to key workers who wanted to live in the area.